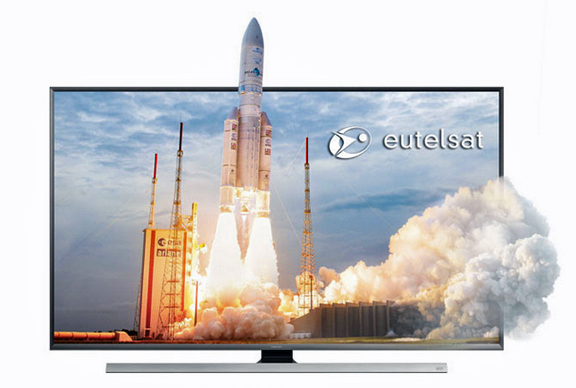 [SatNews] SES S.A. (NYSE Euronext Paris and Luxembourg Stock Exchange: SESG) and Eutelsat Communications (NYSE Euronext Paris: ETL) have announced an industry-wide initiative to develop and promote next-generation video technologies, standards and formats, focusing initially on the reception of satellite services on any screen and on converged broadcast-broadband technologies. Called the Future Video Initiative, this new project will assemble representative companies in the converged video value chain to ensure that users everywhere will be able to benefit from a consistent, high quality, state-of-the-art video experience anywhere, anytime and on any device. The Initiative was unveiled at the International Broadcasting Convention (IBC), one of the largest broadcast technology conventions, held annually in Amsterdam. Experience and feedback on services currently delivering content anywhere, anytime, on any device highlight the challenges of ensuring in parallel high user satisfaction and the largest technical reach. Users want consistent media quality across multiple devices; content distributors have to cope with an ever-increasing growth of media traffic on their networks and therefore want to optimize their investments through maximum audience reach at the most competitive distribution cost. The Future Video Initiative will seek to support existing initiatives, alliances, associations, roadmaps and technical standardization bodies. Its initial scope of work will focus on promoting integrated hybrid broadcast-broadband solutions that increase the reach of HD and Ultra HD with the highest quality, while optimising network costs and meeting the promise of interactive services. It will also facilitate the reception of satellite services on any screen, at home and in public places.